The Earlham Institute (EI) is the first Institute in the UK to deploy a new bioinformatics processor called DRAGEN™, which dramatically reduces genomic pipeline run times from hours to minutes. This collaboration between Edico Genome and EI resulted in the first adaptation of the DRAGEN technology for the analysis of non-human genomes as part of the Institute’s endeavours to sequence the DNA of plant, animal and microbial species to promote a sustainable bioeconomy. EI’s high-performance computing (HPC) infrastructure will benefit from the addition of Edico Genome’s DRAGEN™, the world’s first processor designed to analyse specific sequencing data tasks. DRAGEN will be used to accelerate EI’s next-generation sequencing workflows. Initial evaluations of DRAGEN showed that mapping against the ash tree genome was 177 times faster per processing core than EI’s local HPC systems, requiring only seven minutes instead of three hours on one of the larger datasets. Alignment runs on the rice genome that takes approximately two hours on EI’s HPC servers took just three minutes using DRAGEN. Project Lead Dr Tim Stitt, Head of Scientific Computing at EI, said: “We are really excited to be Edico Genome’s first DRAGEN customer in the U.K., and we hotly anticipate utilising this ground-breaking technology to advance our mission to promote a sustainable bio-economy and maintain the U.K.’s food security. “In particular, we are really interested to see how DRAGEN handles the wheat genome, which is five times bigger than the human genome and much more complex. Wheat is the staple diet for over 35 percent of the world’s population, which is predicted to increase to nine billion people by 2050. The DRAGEN system, therefore, is much faster than traditional approaches that execute algorithmic implementations in software. 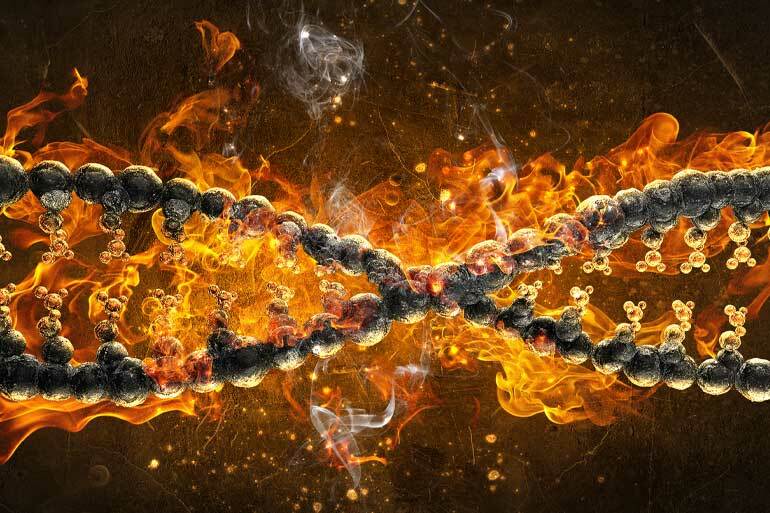 In a recent study published in Genome Medicine, DRAGEN sped up analysis of a whole genome from 22.5 hours to 41 minutes, while also achieving sensitivity and specificity of 99.5 percent. Similar efficiency gains could make an enormous impact due to the high throughput of genomic data processed at EI, where sequence alignment is critical to many sequencing projects. 1. The hardware modifications were carried out by Edico Genome engineers based on in-house testing using the datasets provided by EI. This testing allowed adaption of the pipelines to handle these non-human datasets. 2. The DRAGEN technology has been shown to accurately analyse over 50 whole human genomes (from FASTQ to VCF) in less than a day. EI plans to incorporate the system into the existing HPC platform as a resource within the batch submission system. Edico Genome has created the world’s first bioinformatics processor designed to analyse next-generation sequencing data, DRAGEN™. The use of next-generation sequencing is growing at an unprecedented pace, creating a need for a technology that can process this big data rapidly and accurately. Edico Genome’s computing platform has been shown to speed whole genome data analysis from hours to minutes, while maintaining high accuracy and reducing costs, enabling clinicians and researchers to reveal answers more quickly. For more information, visit www.EdicoGenome.com or follow @EdicoGenome.